Mr. Knauf is the founder and senior attorney of Knauf Associates. He has practiced civil litigation for more than 20 years, has represented both plaintiffs and defendants, including school districts, and provided training and consulting services to public, private, and non-profit entities. 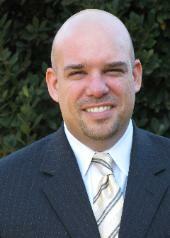 Mr. Knauf enjoys associating co-counsel to provide a team approach to complex cases. University of Southern California – Gould School of Law, J.D. With a background in government and community service, Mr. Knauf has devoted his legal career to public interest pursuits. 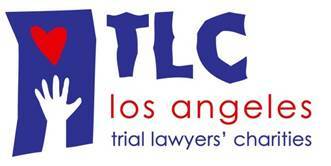 Starting in a highly competitive fellowship at Bet Tzedek Legal Services, a premier Los Angeles public interest firm, Mr. Knauf assisted low income clients with landlord/tenant disputes and unlawful detainer litigation, consumer fraud and debt collection litigation, Social Security and SSI appeals, and a variety of other legal matters. Upon completing the Bet Tzedek fellowship, Mr. Knauf was awarded another public interest fellowship with the Western Law Center for Disability Rights (now the Disability Rights Legal Center). Mr. Knauf thanks the WLCDR for having opened the door to the field of disability rights as well as his own greater disability awareness. in improving relations with customers with disabilities. Following his years at the WLCDR, Mr. Knauf joined the public agency law firm of Lozano Smith, where he represented school districts and community college districts, primarily in the areas of special education and employment related litigation. He also presented law firm and school district trainings on disability awareness issues.